All keynote presentations are custom designed to meet the specific goals of each event. They are known for engaging, educating, and energizing all types of audiences. According to FORTUNE Magazine, you have to possess 2 characteristics to survive in this millennium. Those two characteristics are flexibility and adaptability. Because if you are rigid you will break and relationships will break due to that rigidity. In this thought-provoking keynote, you will discover the 10 characteristics of the best leaders and how to incorporate them into your leadership style in a unique, consistent and powerful way. You will also discover how to build greater trust, develop a self-managed team that prospers. Velvet Hammer words are velvety smooth, kind and accommodating, yet pack a punch and get results, and lead to better critical conversations, persuasion and action, while minimizing conflict and discord. Since words are containers of power, Joy Baldridge provides you with carefully selected words, phrases and questions to be better planned, not canned when interacting with your team, customers, and co-workers. These rapport building phrases also make positive connections and strengthen moral, productivity, and revenue. Secret Weapon Selling: How to Have Your Best Year Ever! Secret Weapons Selling involves discovering innovative questions, listening intently and strategic aligning to close more sales sooner. Joy Baldridge went out in the field with scores of top sales professionals from vast variety of industries and compiled insights and tangible takeaways you can immediately use to up your game and have your best year ever! You can achieve more win/win outcomes as a direct result of this presentation. You will learn better ways to question, present, negotiate, and close more lucrative deals. This is the perfect keynote for regional or national sales meetings or for new product kickoff events. The secret is examining your current sales strategy and incorporating the Golden Nuggets or useful ideas from this energizing and engaging keynote. Reclaim your time by discovering innovative and proven ways to recover from interruptions faster, focus on priorities better, reduce stress sooner and even delegate and celebrate more! See first had how you can instantly apply and benefit from Joy’s signature time and priority Golden Nuggets. In this engaging, energizing and highly interactive session you will learn how to work as a team more productively. You will understand how to sustain a positive attitude regardless of circumstances and situations that inevitably occur. 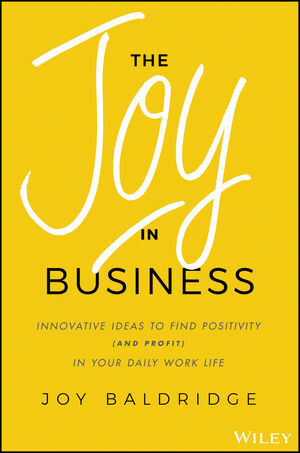 Joy shares how to approach teamwork with a consistent and relatable positive outlook that strengthens relationships and gets results sooner. “Can You Hear Me Now?”– Communication that gets results! Enhance the comfort level, effectiveness and sophistication in the way you communicate. Take the edge off potentially awkward interpersonal interactions. Acquire new words to persuade. In this dynamic session you will learn how to clearly get your message across and understand what is being communicated to you both verbally and nonverbally. There is nothing like clear communication to enhance productivity and foster good relationships internally and externally. To make the best even better, involves making minor changes for major impact. In this dynamic, and entertaining keynote, you will learn meaningful and memorable, tangible tips on new ways to be more self-managed, productive, and motivated. You will leave with an instant perspective and behavior change, and new skills to sustain it.